COORDINATION is an award-winning design and architecture studio, located in Berlin, Germany. We specialise in creating high-impact environments in the field of commercial, corporate and residential interiors as well as exhibition design. We also run an in-house product design studio that develops bespoke and commercially retailed furniture and lighting. Driven by the quest for fresh ideas and extraordinary solutions, COORDINATION is a concept laboratory of creative energy combined with solid experience in professional realisation. We design passionately, plan reliably and work strategically. The studio was founded in 2004, Flip Sellin and Jochen Gringmuth lead the head office located in Berlin. Since 2008 Tilman Thürmer has been managing all East Asian projects from COORDINATION Asia’s Shanghai office. When developing project-specific design strategies our international team of interior designers, architects and product designers take the importance of cultural and social aspects into consideration. We develop engaging user-centered environments through a process of research and experimentation, client-oriented concept development and reliable, strategic implementation. Our work ranges in scale from architectural concepts for whole buildings to detailed designs of finely crafted interiors and bespoke furniture fit outs. What does all our work have in common: the user is the benchmark and every little detail is important to us. Developing a concept: our first step is to digest the brief and analyse what would make the project most successful for our client. Then we brainstorm, research, think, dream, sketch, question, debate, develop, re-iterate, consult, deliberate and design - all in close consultation and collaboration with our client, trusted specialist partners and our diverse team. Visualising the ideas: once the concept has been developed we bring it to life. We draft, build 3D models, render, envision, visualise and develop the details - through-out the design process we use these tools to present and deliberate our ideas in order to drive the design to perfection. 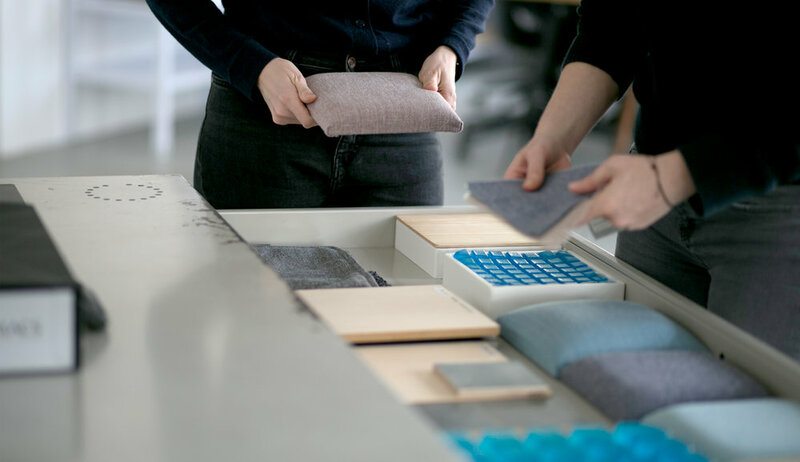 Hands-on experimentation: we firmly believe that to develop good design it must be tried and tested in the real world. So we build models, combine materials, make prototypes, experiment, build mock-ups, test, improve and test again - a re-iterative process with the ultimate goal of developing the optimal solution. Our success is the success of our client - be it creating in impactful brand space, a successful commercial environment or a relaxing private refuge. Making it happen: design is nothing without great execution. We calculate, evaluate, budget, negotiate, schedule, coordinate, plan, manage, monitor, check, double-check, snag, document and complete. At COORDINATION we are known for our smooth and reliable project delivery and we make it our greatest aim to hand over a stunning project to a smiling client.